Got your startup idea ready? Just gotta take your business off the ground, but don’t have a website? Well, the Sierra template is here to solve that problem effortlessly. Sierra will be just like your start-up - stand out from the crowd. 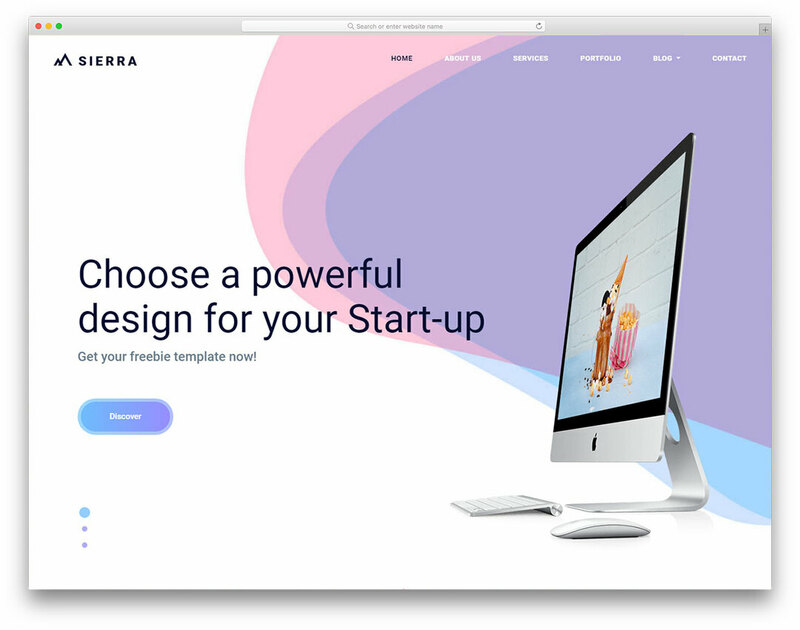 With this template, you get a subtle, but colorful website, filled with subtle, but attractive animations that grab the eye like nothing else. Everything you need in one place. As your visitors scroll, they’ll encounter everything they need. Put your best foot forward, make it easy for visitors to get in touch and succeed with Sierra.